A quantum leap for the expressive palette of the modern grand piano, both in terms of dynamics and its entire colour spectrum. The ‘Sordino’ was a common feature in both Graf (Vienna) and Erard (Paris) pianos in the early 19th century. Today, Steingraeber & Söhne is offering this vintage sonority once again thanks to the encouragement of Jura Margulis. 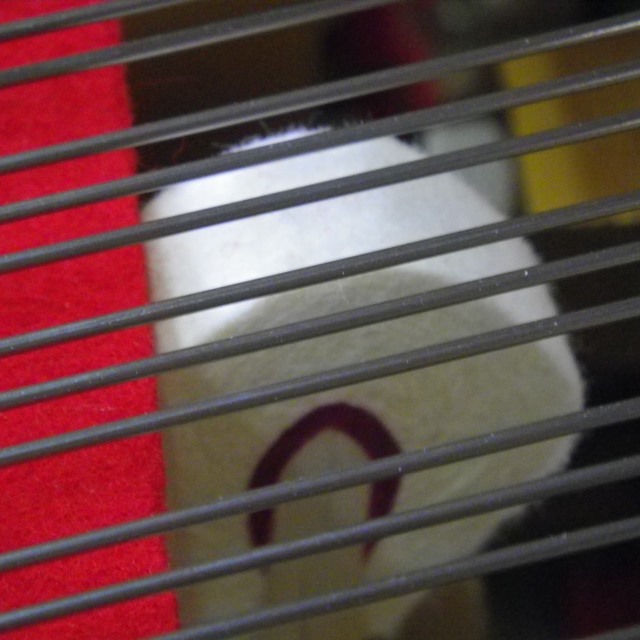 The sordino sound effect is produced by means of a very thin strip of felt inserted between the hammers and strings, allowing sound modifications as described by Schubert’s “fp” markings. The Sordino function can be released in different ways, depending on each pianist’s preference. The most popular application is to activate the Sordino using the middle pedal, rendering the sostenuto pedal temporarily inoperative. Other possibilities are a fourth pedal or a knee lever. 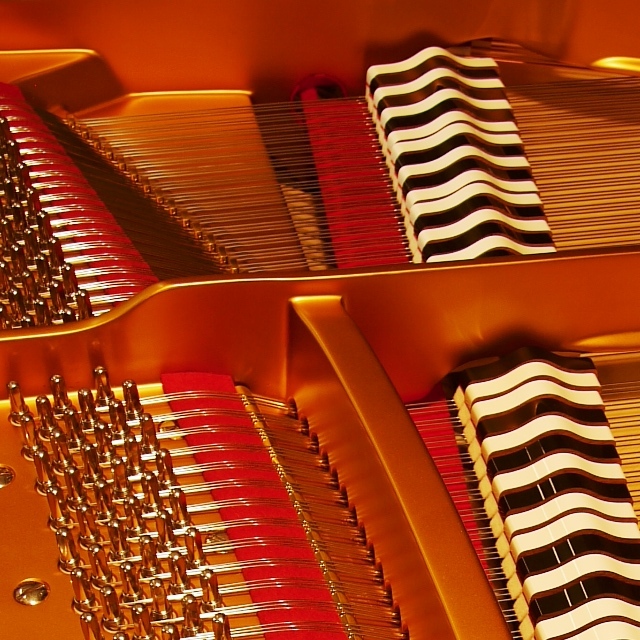 Jura Margulis, a German-American pianist of Russian extraction, was the catalyst behind Steingraeber coming back to the Sordino and incorporating it into our modern D-232 grand piano. He commented: “The Margulis-Steingraeber Sordino Pedal (MSSP) represents a quantum leap in terms of the expressive palette of the modern grand piano, both in terms of dynamics and the entire colour spectrum.” It hardly needs to be pointed out that the above-mentioned celeste pedal has nothing to do with modern devices used for soft playing, such as ‘neighbour protection’ devices, also known as ‘mufflers’, which are often found in today’s pianos. The german pianist Martin Stadtfeld released his CD ‘Chopin+’ in November 2016 on Sony Classical, which displays his frequent implementation of the sordino. 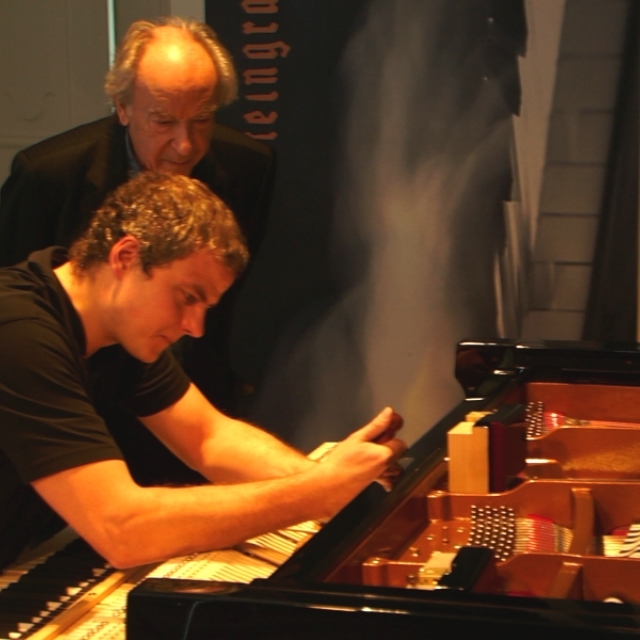 In addition in May 2017 he ordered a Steingraeber & Söhne concert grand piano with sordino for two concerts in the new Elbphilharmonie in Hamburg. 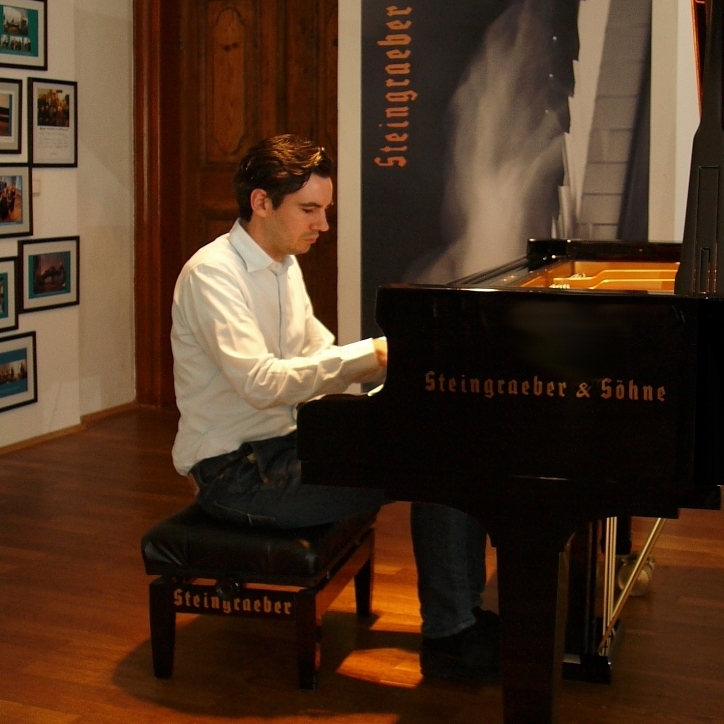 Even pianist Paul Badura-Skoda expressed his excitement about the sordino during a visit to Steingraeber Haus. By the mid-nineteenth century, the ability to colour the tone of the piano had mostly disappeared from the canon of various pedal functions. However in Vienna they held onto the practice until the early twentieth century, perhaps due to the fact that Conrad Graf was held in such high regard. 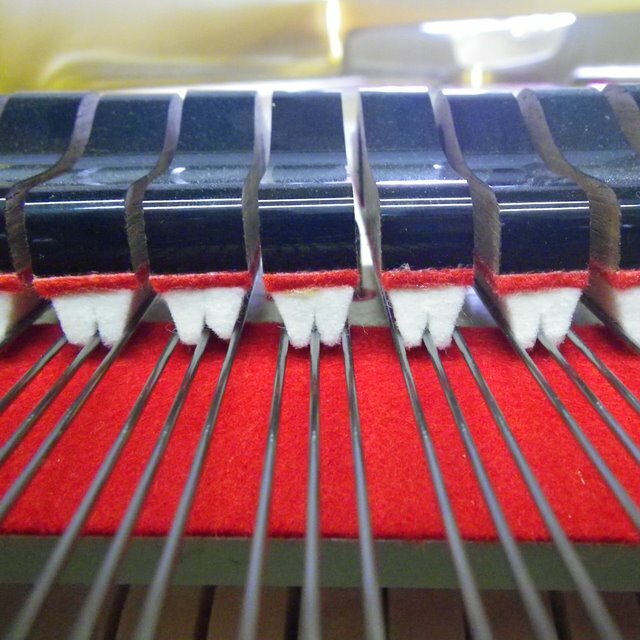 In the first half of the nineteenth century, he fitted all of his grand pianos with a horizontally-movable rack made of felt. He called the device a “muffler”. Erard used a buckskin rack in his grand pianos for similar purposes and called this sound effect a “celeste”. 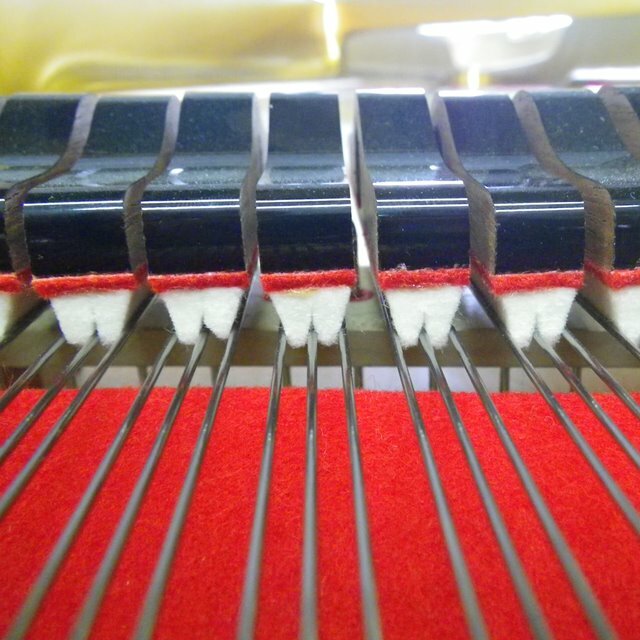 Technically speaking, the sordino sound effect is produced by means of a very thin strip of felt inserted between the piano’s hammers and strings. 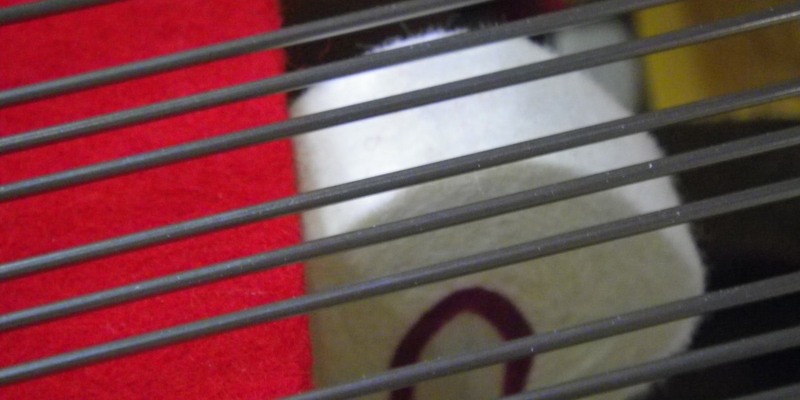 Its distance from the strings is negligible, and so the release is easily activated. 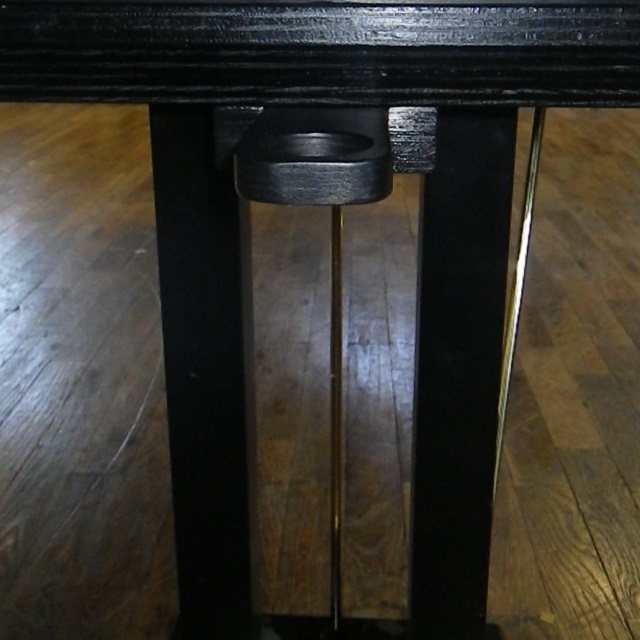 The sordino guides are inserted on the left and right near the mountings and the flange of the piano’s frame. The path of the horizontal shift has to be fitted into the treble region of the frame. 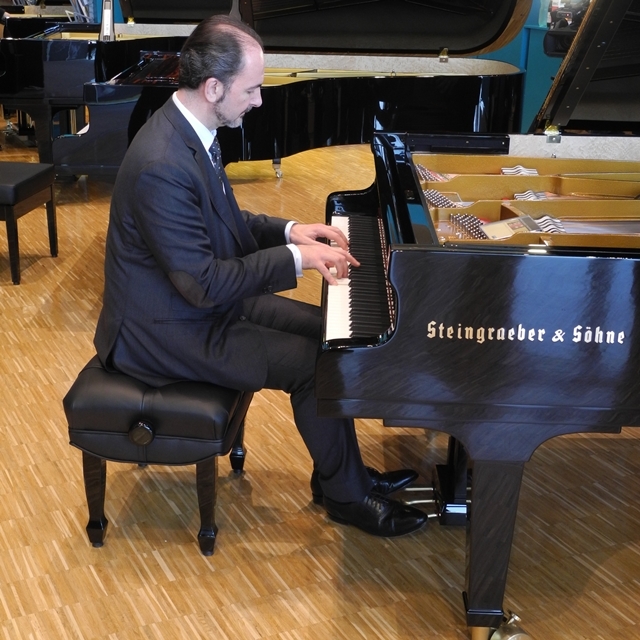 Steingraeber piano technician Alexander Reul was given the task of working out the technical aspects of what turns out to be a rather complicated innovation. Hugh Sung – pianist, author, techie and entrepreneur – tested Sordino and other innovations during the NAMM Show 2017 in the U.S.
Jura Margulis explained sordino during the 2014 Frankfurt trade fair Musikmesse (moreover, Ratko Delorko talks about the “Mozart Rail”, by then activated by a knee lever).